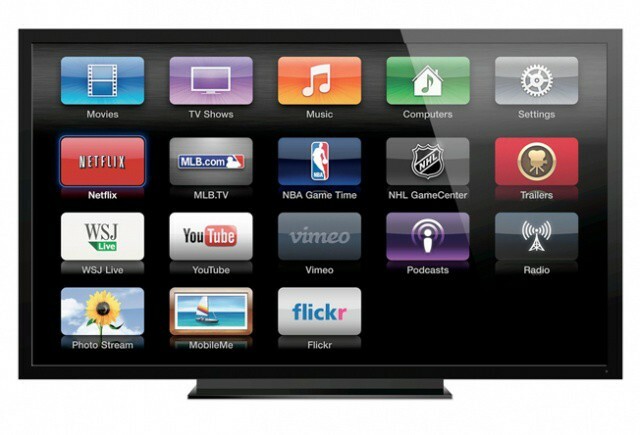 Apple isn’t going to debut their new rumored HDTV set at WWDC 2012, but according to a new report, they will unveil the version of iOS that it will run on, and which will be coming to the Apple TV set-top box later this year. Even more interesting? Your Apple TV might soon become the hub through which the rest of your living room connects. According to a report from BGR, Apple plans to demonstrate a brand new version of the Apple TV operating system in two weeks at WWDC. Claiming that this new operating system is more “feature complete” than the current build, BGR doesn’t have many details about what the new Apple TV OS will mean for users. In fact, the word “apps” — the one thing customers have really been waiting to see on the Apple TV — doesn’t even appear in the report. Something about this sounds a little fishy to me. Is the Apple TV remote even up to the task of controlling other devices? It’s as streamlined as streamlined can be. How do you make that work with a connected home theater, or a Blu-Ray player? The only way to support more devices is to release a more full-featured remote. Could that be Apple’s “one more thing” at WWDC 2012?